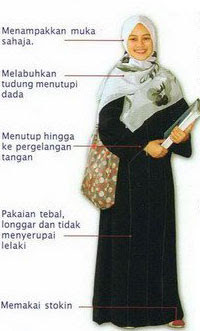 Assalamualaikum everyone. 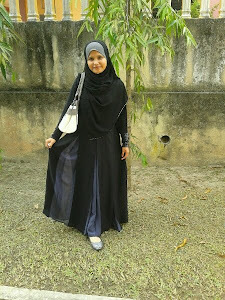 I want to let go this last piece of Jannah Abaya with a special price. 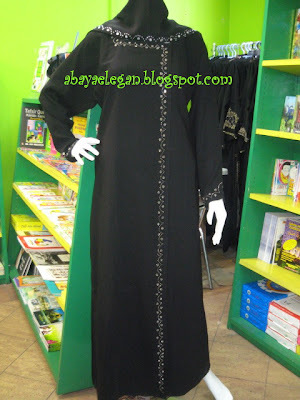 Before that, let's have a look at the abaya. The material is crepe lexus which is very soft and cool to the skin. 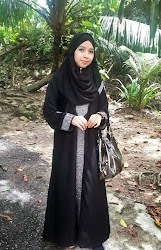 This abaya is open front type with and very suitable for nursing mothers. 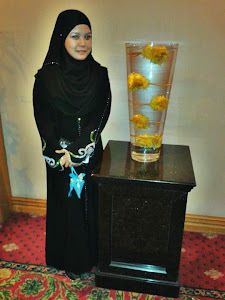 Close up of the decoration on the abaya and the shayla. The retail price is RM170.00 but I want to let it go at RM150.00.